What job, promotion, or position do you want to hold? Are there external benchmarks that you want to reach with your investment banking classes (a degree, certifications) ? What is your tolerance for risk, stress, and long hours? How much money do you want to make over the course of your career? 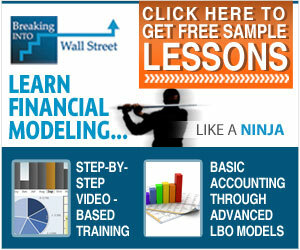 How important are specific financial modeling skills to your career advancement? Answering these questions will help to narrow down what kind of investment banking courses will help you reach your goals. Knowing how long you want to dedicate to training will tell you if you should pursue a four-year degree, a one-year certification, or a five day seminar. 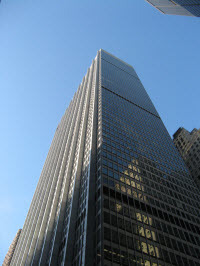 If you are currently working in a non-investment banking field, knowing what kind of position you want to hold, or what company you want to work for, will help you decide whether you need an extensive survey of investment banking topics, or whether a basic introductory course in business and accounting fundamentals will be sufficient. If you are an investment banking professional and wish to develop your prospects for promotion or enhance your familiarity and skills within a certain specialty, this will help you to target the course topics that will be most helpful to you. If you are seeking a particular degree or certificate, this will help to narrow your search to investment banking courses or training materials that are associated with that degree or certificate. Knowing your own tolerance for risk, for job stress, and for putting in long hours will help you figure out what kind of investment banking environment you want to work in, which in turn will help you with your choice of topics when choosing an investment banking course.